Being from an Italian family, we always had the usual; Prosciutto, Mortadella, Salami, Cheese & Bread for antipasto before the meal. However, my Zia Paula (my Great Aunt) would always bring Guacamole to our family gatherings-no matter what the menu was. So the basics she told me was avocados, cilantro, onion, & jalapeno. After a few tries of recipes, I came up with my own version & now I am asked to bring it to our family gatherings. 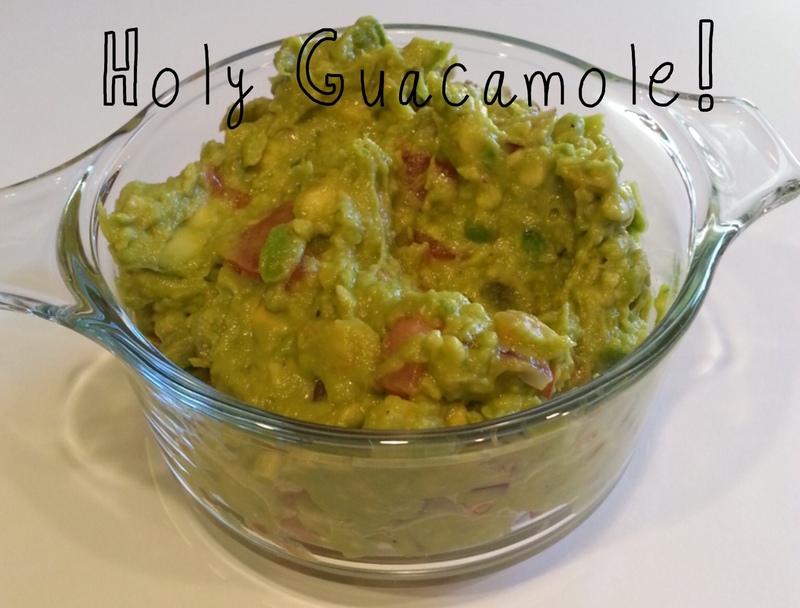 Therefore, I needed to share my Holy Guacamole recipe + tips with you! make this a few hours ahead of time to share + make sure to make plenty as if goes FAST! -6 Avocados (I suggest 1 large avocado per person) // TIP: follow this LINK on how to pick the best avocado! note: you can add cilantro if you like the taste // totally to you. Once all added & mixed, spoon mixture into your serving or traveling dish. 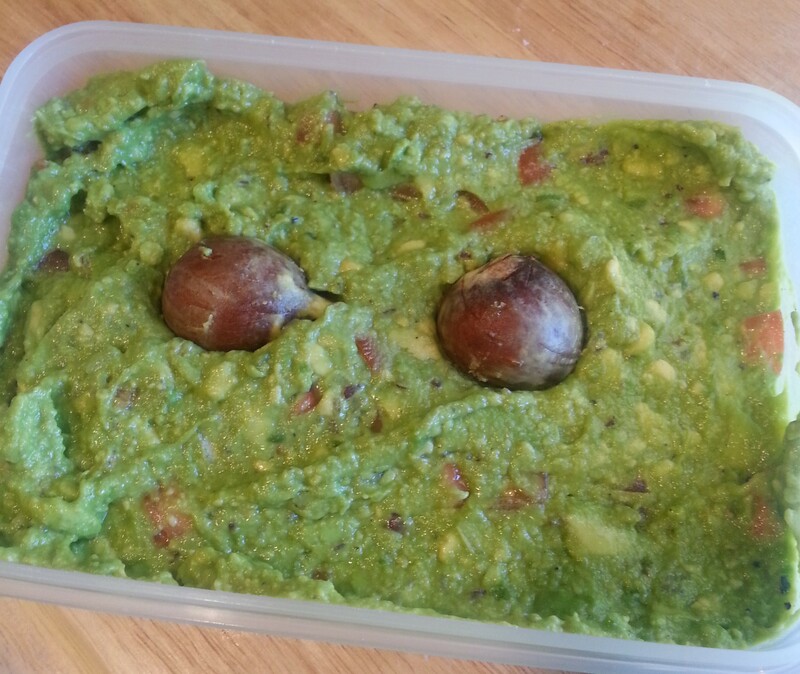 Put the pit of 2 avocados into the mixture until ready to serve. Adding the pits will help your Holy Guacamole to stay fresh & green. 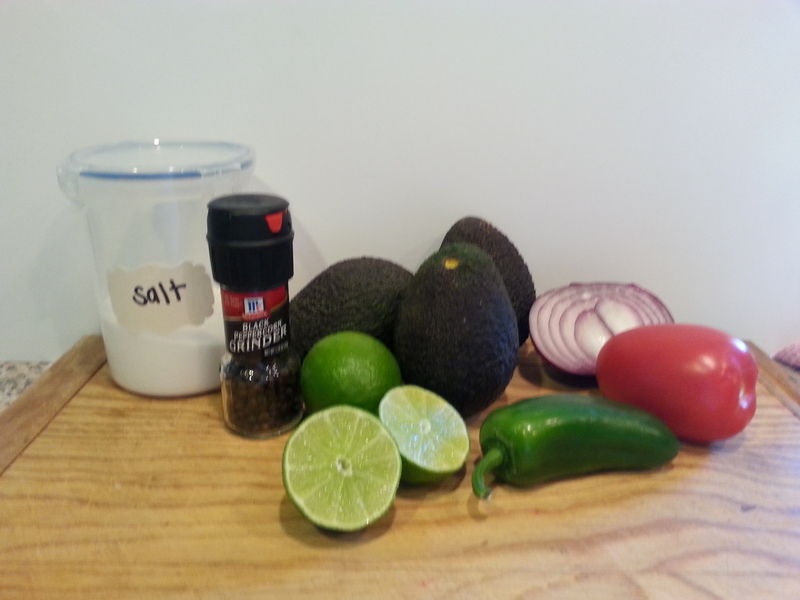 Once in dish, squeeze juice of remaining lime on top & chill until ready to serve. & there you have it, HOLY GUACAMOLE! I love guacamole! It’s so delicious and simple. Nice post! Next Next post: Pasta Party // Happy 80th Birthday Grandpa!